EVENT: Armed Forces Day #Plymouth – 30th June 2018, celebrating our armed forces, past, present and future. This year’s event we will linked closely with the Royal Air Force for the RAF100 celebrations and commemorations, as 2018 marks 100 years of the RAF. During the event the Royal Navy, Army, RAF, Royal Marines and veteran’s organisations, charities and the emergency services will showcase their services in a variety of ‘villages’ set out across the Hoe. Ahoy me hearties! 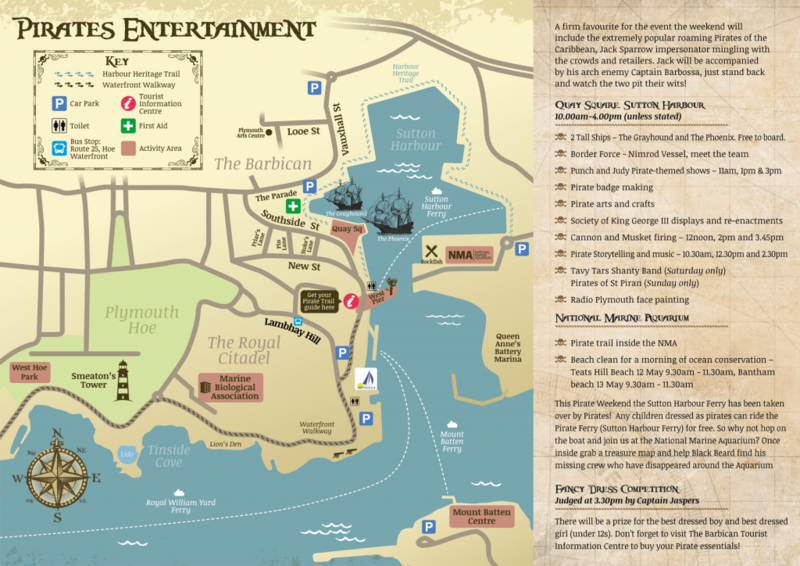 Be ready to join in the pirate fun as the pirates descend onto the Barbican, Sutton Harbour and West Hoe once again for Pirates Weekend Plymouth! 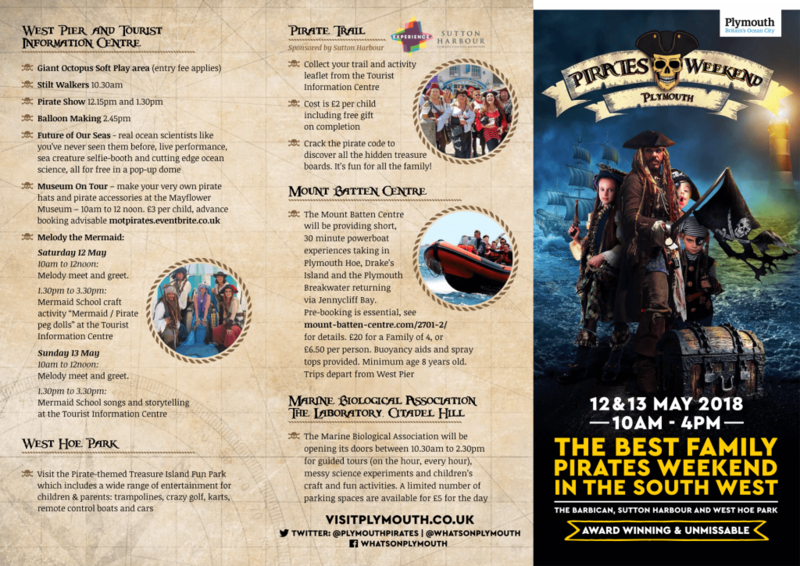 12th & 13th May – The best family pirates weekend in the South West! Step aboard for free on the 2 tall ships The Greyhound and The Phoenix, see punch and judy themed shops, take part in pirates craft making, lots of re-enactments, cannon firing and muskets! Pirate Story telling, face painting, pirate trails, fancy dress competitions and a whole lot more! The Sutton Harbour Ferry Service will be operating in Plymouth’s historic harbour every day from Good Friday (March 30th), with trips between Lockyers Quay and Barbican West Pier running each half hour. The ferry, which is run by Silverline Cruises and subsided by Sutton Harbour Holdings plc, will be offering a full schedule seven days a week from Easter weekend, allowing people to arrive by boat at the National Marine Aquarium and Rockfish restaurant on Plymouth’s waterfront while the pedestrian footbridge is closed for repairs. 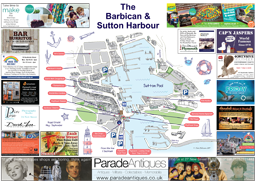 Since its launch last summer, the Sutton Harbour Ferry Service has carried thousands of passengers across Sutton Harbour, including visitors to Britain’s Ocean City as well as local commuters, and provides a vital link between the Fishing Quarter and the historic Barbican Quarter. 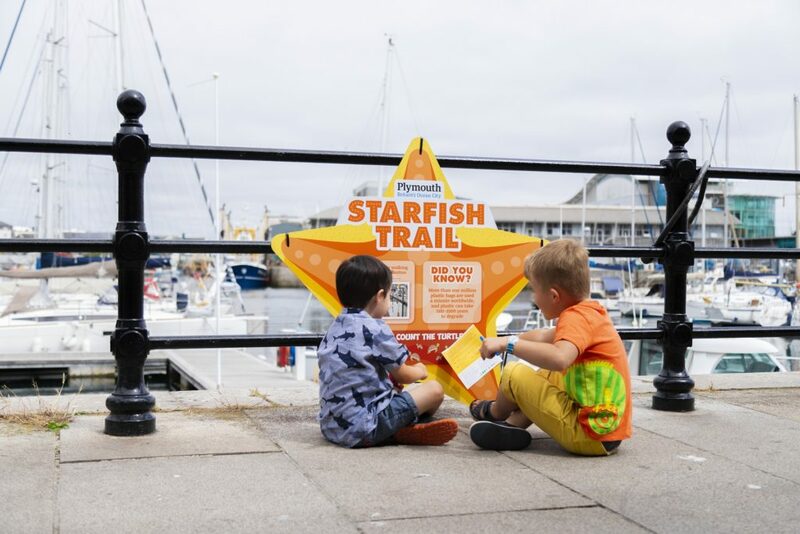 Tickets cost £1 per person each way or £1.50 return, and children under 5 travel for free – however customers can get the price of their ticket deducted from their bill at Rockfish or in the National Marine Aquarium’s cafe or shop. Monies raised from ticket sales goes directly to Silverline Cruises. 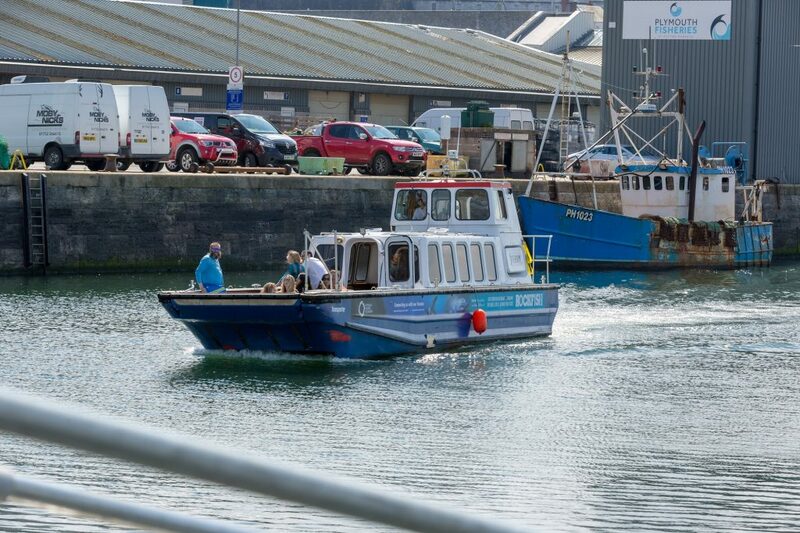 Pete Bromley, Harbour Master of Sutton Harbour, said: “We are thrilled that the Sutton Harbour Ferry Service will begin operating a full schedule over the Easter weekend and will continue to do so as we move into spring and summer. “Thousands of passengers have used the service since its launch last summer and it provides a vital link for key tenant businesses such as Rockfish and the National Marine Aquarium while the footbridge remains out of action. Roger Maslin, Chief Executive Officer at the National Marine Aquarium, said: “With the Easter break on its way, it will be a very busy time for us here at the Aquarium so we are delighted that our customers will be able to take advantage of the full schedule run by the Sutton Harbour Ferry Service. 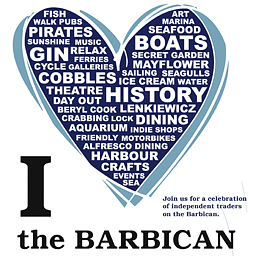 The ferry will be available every half an hour from Lockyers Quay at 9.30am – 6.30pm and from Barbican West Pier at 9.45am – 6.45pm. During busy periods there will also be additional services running approximately every ten minutes. A new website is being launched, along with a social media account on Facebook, to help update ferry users on a daily basis about the service in case times are changed owing to weather conditions. An alternative walking route around the harbour is accessible via the Harbour Heritage Trail, with a one-mile footpath circling around East Quay and North Quay. The Sutton Lock pedestrian footbridge remains closed to the public as it awaits repair. An agreement was reached at the end of 2017 between Plymouth City Council, the Environment Agency and Sutton Harbour Holdings plc to repair the custom-built footbridge, and these repairs are being commissioned by Plymouth City Council. The bridge was fitted more than 20 years ago as part of the installation of the Sutton Harbour lock gates, whose main function is to manage any flood risk and allow marine traffic, such as fishing boats, to enter Sutton Harbour. The lock gates themselves remain fully operational. The repair is a complex process owing to the bespoke nature of the footbridge and the need for a new bearing to be manufactured especially for the bridge turntable, and as such, work is not expected to complete until later in the year. Easter Eggstrawaganza on the Plymouth Barbican! 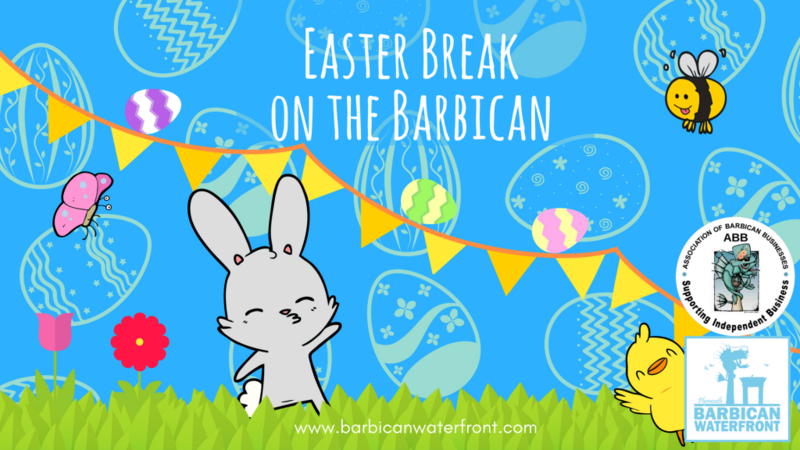 Easter Holidays are fast approaching and the Barbican has an eggcelent selection of family friendly events to keep your little bunnies entertained throughout the school holidays. Take a look at our ever growing list of events in the area and do check back nearer the time to see what else has been added.